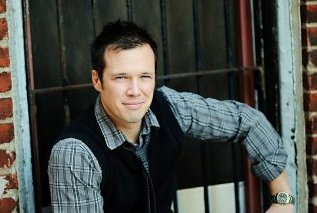 Erik Fish is a husband, father and author who makes disciples of leaders who dare to dream God’s dream for planet Earth. He carries a deep passion for equipping people with innovative, grassroots strategies for multiplying movements of the gospel among pre-Christians. Erik is a founding leader for the Student Church Planting eXperience. SCPx equips students worldwide to multiply disciples and churches on their college campus and beyond. Since 2008, SCPx has equipped students on over 400 campuses in 15 nations to make disciples and plant simple expressions of the church. Many graduates continue disciple-making movements in the marketplace and the nations. SCPx is neither a conference nor seminar, but an experiential training that enables any team to start a multiplying movement of disciples and simple churches. SCPx participants learn to plant churches by actually doing so together at a set geographical location. Participants are then coached “on-demand” as they grow the movement of churches they started during their training experience. During virtually every SCPx, participants have experienced miraculous healings, salvations, and baptisms, and have seen new simple churches planted. One facet about SCPX that is unique in the Western world is its approach to church planting. Working outside of Western models of conventional church and of parachurch ministry, SCPx facilitates actual church-planting movements among unchurched teens and twenty-somethings. Young people equipped through SCPx baptize new believers, make disciples, and form simple-church communities that seek to obey together the commands of Jesus. Erik is particularly gifted at equipping those who have a heart to reach unchurched, pagan youth who prove averse to conventional, cultural, expressions of church. Check out more of Erik’s writings at ErikFish.com and SCPx at www.SCPx.org.